The Royal Grammar School, Guildford in Qatar (RGS) is an independent, British curriculum school for boys and girls, located in the quiet, convenient area of Um Salal Mohammed, close to IKEA and the new Festival City and enjoying close and convenient transport links to Qatar’s main areas, including The Pearl, Madinat Khalifa, Gharaffa, West Bay and surrounding areas. 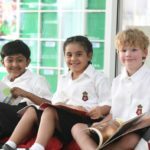 Whilst still relatively new to Doha (we opened in September 2016), our school is part of the prestigious Royal Grammar School, Guildford and Lanesborough Preparatory School, located in Surrey, UK. We are proud to bring over 500 years of academic excellence to Qatar. 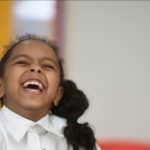 We provide an outstanding British curriculum education based upon traditional values of decency and respect, supported by exceptional pastoral care and a wide range of extra-curricular opportunities. Our facilities are first class and our plans for the future are ambitious, which will see pupils aged 3 to 18 receive an RGS education in Qatar. We hope that you enjoy your visit to our website and find the information helpful. You are warmly invited to visit our school, speak to our Head of School, staff and pupils and discover for yourself what an exceptional and happy school we are.